This practical reference for medicinal and pharmaceutical chemists combines the theoretical background with modern methods as well as applications from recent lead finding and optimization projects. 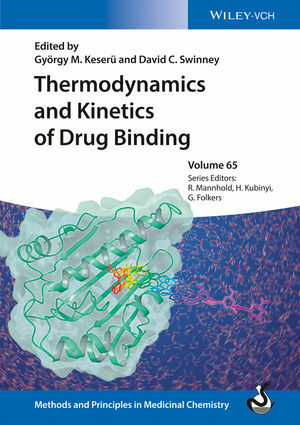 Divided into two parts on the thermodynamics and kinetics of drug-receptor interaction, the text provides the conceptual and methodological basis for characterizing binding mechanisms for drugs and other bioactive molecules. It covers all currently used methods, from experimental approaches, such as ITC or SPR, right up to the latest computational methods. Case studies of real-life lead or drug development projects are also included so readers can apply the methods learned to their own projects. Finally, the benefits of a thorough binding mode analysis for any drug development project are summarized in an outlook chapter written by the editors. György Keserü obtained his Ph.D. at the University of Budapest (Hungary) and joined Sanofi-Aventis heading a chemistry research lab. In 1999, he moved to Gedeon Richter as the Head of Computer-aided Drug Discovery, being appointed as the Head of Discovery Chemistry in 2007. Since 2003, he also holds a research professorship at the Budapest University of Technology and Economics. His research interests include medicinal chemistry, drug design, and in silico ADME. He has published over 150 papers and more than 10 books and book chapters. Recently he was granted the Prous award by the European Federation of Medicinal Chemistry, EFMC. David Swinney obtained his PhD at the University of Washington in Seattle (USA). He spent 8 years at Syntex Palo Alto before moving on to Roche where he was serving as Department Head of Inflammation and Respiratory Diseases and later as Director of Biochemical Pharmacology. In 2010 he founded the Institute for Rare and Neglected Diseases, which is a non-profit drug discovery organization. Dr. Swinney is an international expert in enzymology and pharmacology with special interest in molecular mechanism of drug action and binding kinetics.